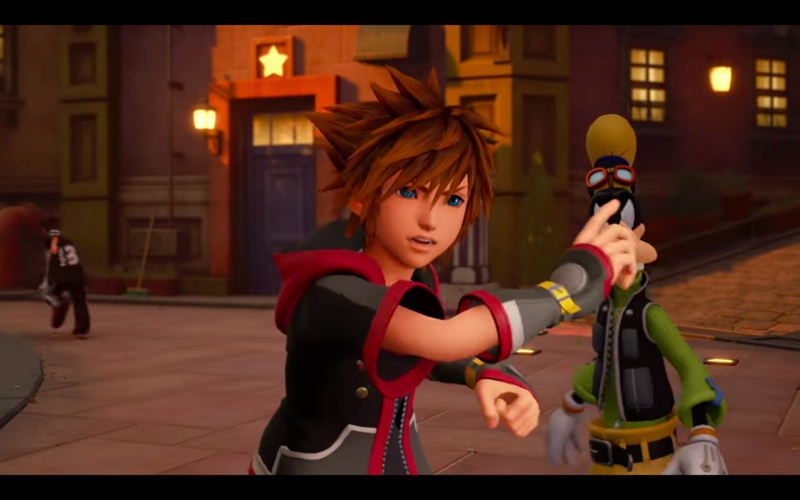 In a recent interview with Game Informer's Kimberly Wallace, Kingdom Hearts director Tetsuya Nomura discusses the idea for DLC along with Ratatouille and the recent Aqua reveal. You can read snippets from the interview below. Nomura: "We will have new features with the Gummi Ship, we just haven’t disclosed yet. What you saw yesterday, we just wanted to confirmed it exists." Nomura: "There will be some times in the game where you’re able to control characters other than Sora, but I just won’t say which character at this moment." Nomura gave some clarification about Ratatouille, stating that it's a "mini-game". The object is to find ingredients hidden throughout the game and bring them back to Remy to make a full-cooked meal. If the player succeeds, they will receive a temporary status upgrade; otherwise, nothing happens. He added that there will be a lot of mini-games in Kingdom Hearts III. 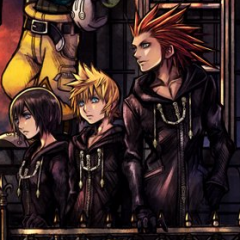 Nomura also discussed the possibility for DLC for Kingdom Hearts III. “I do want to look into potentially releasing DLC after [launch], but nothing have been solidified or decided on what we want to do or what we will do. I don’t think I’ll ever really release a season pass of sorts either, because I’m not fond of that model. I want people to continue to enjoy playing Kingdom Hearts III after release. I actually also think that not many bigger titles nowadays release and just leave it at that. don’t want to follow along with them, but I want to create something that the fans will enjoy even after release. [in regards to DLC after KHIII's release] I have no idea what it would be or might be. Nothing has been decided." Nomura was also asked about the remaining worlds that yet to be announced in Kingdom Hearts III. He gave reassurance that Big Hero 6 is still coming, even though no gameplay footage has been shown yet. He also confirmed that some original worlds from previous games will return along with new ones. "We don’t have many left [to announce], but we do have some [worlds] left, including our original worlds." He also talked about the Pirates of the Caribbean world return to Kingdom Hearts III, and mentioned the interesting gameplay elements it will bringing forward to the players, such as ship battles and underwater excursions. What do you think of this interview? What DLCs do you want for Kingdom Hearts III? Let us know in the comments below! Kingdom Hearts III releases on PlayStation 4 and Xbox One on January 25, 2019 in Japan, and January 29, 2019 to the rest of the world. You can now watch the latest Frozen trailer, Square Enix E3 Showcase trailer, and Pirates of the Caribbean trailer! Follow our coverage of Kingdom Hearts III at E3 2018 here, and our live updates on our Twitter! Multiplayer mode as DLC please Also, there are more world reveals coming! I thought we were done for Disney worlds! Also, bigger surprises than Aquanort...He wants to kill us. All of this is very exciting. Btw, this pretty much confirms that was the real Aqua and not some phantom or imagination figment thing. If they decide on multiplayer as a DLC, that would actually be fine by me. I'm not fond of DLCs but multiplayer options require time if they want to do it right. Often, games are either directed at single player or multi player gameplay. Even if they have both, the other option often loses to the one taking the primary focus or both suffer. That's why I think multilayer would be a good implementation after the release. This way, they can truly focus on an enjoyable experience and not lose quality because they have to work on other things. It also ensures people will continue to play it if it's any good. Interestingly, he also said that Aqua had fallen to darkness, not that she had become a vessel. So there's still the possibility that she's not a part of Xehanort's thirteen darknesses. I'm a bit disappointed he's bot that interested in bringing FF character together anymore, though I still hope Leon & Co. will reappear. I really loved the interactions between them and Sora, Donald and Goofy and would like them to take a semi-important role again. Nice! The Ratatouille ingredient quest sounds very interesting. I was actually just making a joke with a friend, but I'm actually now convinced that in the first 6 seconds of the Classic Kingdom Trailer you can see a restaurant in the corner of Twilight Town called Le Grand Bistrot. There's little doubt that this must be where Remy resides and Sora will periodically visit this restaurant to drop off ingredients, the French name all but confirms it. Also in regards to The Caribbean being present as a world, while it looks amazing and I'm excited for it, I could have sworn Nomura said in a previous interview that Twilight Town and Olympus were the only returning worlds. Not that he's never misled before, and I feel like this world will be sufficiently different from Port Royal. Characters? As in, more than one? Sorry Nomura but the choices you made about Aqua and Larxene are not that interesting to me. Aqua fallen into darkness didn't surprised me, I just find it generic and kinda cringey because it's the usual hero falls into darkness trope. But than again almost everything in books, TV, movies, comic books, and games follow the same tropes. I'm still certain Sora will save her as Birth by Sleep, Re:Coded, and Dream Drop Distance had stated that Sora will save those connected to his heart. But if he doesn't than I guess he will retcon that as well and have Riku or Kairi to save Aqua instead. But if those two fail to save her then I guess Aqua will be killed along Master Xehanort and his thirteen clone versions. Oh well my expectation of searching for Aqua has been ruined but at least Kingdom Hearts 3 still has a lot more to look forward to. Hopefully the next future KH3 trailers doesn't make that same mistake like that KH3 Frozen Trailer and spoiled one of it's main plot point like Aqua fallen into darkness. Rob is still wondering why you had to show that Aqua reveal. Why? What possessed you to show that specific scene? Rob didn't want to see his favorite KH character and waifu like that. You could have showed the final battle in its entirety and Rob wouldn't have cared. No joke. Rob hasn't been the same since that trailer. He fell into despair. KH3 feels ruined now because Rob will never forget that scene (and he usually forgets the trailers when he starts playing). That's how much Aqua means to Rob. 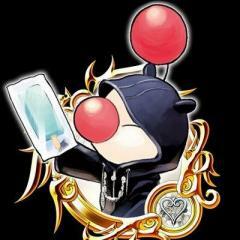 No more watching KH3 trailers until he beats the game. Can't trust you no more. I'm quite sure he specified there was other returning world beside those and I always wondered which one would be, I did expect Pirates again but never with this goodness! BRUH! How the in the heck did "Aqua fall to darkness?!" She had that internal monologue in 0.2 how fighting in the dark! And where's Ansem?! She was literally with him, waiting! Did something attack them at the beach and Aqua got controlled by the Realm of Darkness?! Also I agree with you guys on the Multiplayer stuff. I want it. I am very happy No yea is not a fan of the season pass model because I think he's seen what has happened to final fantasy 15 because of it. You have a game that wasn't finished that had a lot of content missing, that was slowly patched and worked on to make it feel like a full package, instead of being complete on release like Nomura seemingly wants to do with kh 3. Here's hoping he's a man of his word. That's the problem -- not that she fell to Darkness, but that it flies in the face of both Blank Points and A Fragmentary Passage (and retcons the latter into a waste of time). Remember MX's @$$pull omniscience from DDD, and how it retconned the heroes into failures since KH1? It's practically that all over again, just on a smaller scale. "We don’t have many left [to announce], but we do have some [worlds] left, including our original worlds. Sooo.... I FEEL SO GOOD after hearing this!!!!!! I do want more! 14 What are your impressions on Joker in Super Smash Bros. Ultimate? 1. What are your impressions on Joker in Super Smash Bros. Ultimate?